Developing BRICS by Promoting Sports | Business Article | MBA Skool-Study.Learn.Share. The acronym BRIC, coined by the British Goldman Sachs economic consultant Jim O'Neill, in 2001, stood for the four emerging economies Brazil-Russia-India-China. This was changed to BRICS, with the inclusion of South Africa in 2010. Since its inception, it has acted as an umbrella for business, media, academic and government rhetoric about the future potential of these giant emerging markets, specifically the threats or the opportunities posed by them to the developed world. A commodified image of these nations, across various dimensions of risks and threats, along with opportunities such as investments, transformation & global supremacy, is encouraged by BRICS. There shall be no doubt in seeing the BRICS as the West’s/North's imagining of a new East/South with geo-political status and power to dwarf the dominance of developed world. Growth in the sports market was surpassed, in the overall global market between 2006 and 2010, by the BRIC countries, which had a CAGR of 7.7 percent vis-a-vis 3.4 percent for the global market for the same period. However, it is expected that the gap would reduce sharply by the end of 2015, with revenue growth in sports for BRICS averaging close to 4.5 percent, compounded annually, compared to 3.7 percent for the global market. Following China’s organisation of the Olympics in Beijing in 2008 and India’s hosting of the Commonwealth Games in 2010, other BRICS nations are all set to increase their portfolio as hosts of major events. While Brazil stages the 2014 FIFA World Cup and the 2016 Summer Olympics, Russia has the World Summer Universiade 2013, the Olympic and Paralympic Winter Games in 2014 and the FIFA World Cup in 2018, along with its first Formula 1 Grand Prix in 2014. It is no surprise that the above-mentioned mega sporting events have the principal characteristics of being large scale; having a dramatic character; middle-of-the-road mass appeal; international significance; significant consequences for the host along with attracting media attention across the globe. Hosting such an event is a good opportunity to attract investments and boost the growth in local economy. To quote a research from the Grant Thornton International Business Report (IBR), more than 50% of the BRICS’ business leaders maintained that major sporting events are a good way in luring investment to their economy. Business leaders from Brazil were the ones having the most optimistic outlook. With FIFA World Cup coming in the near future and Olympic Games slated for 2016, more than 80% of Brazilian entrepreneurs agreed that these events will attract investments to the country. Similar view about the linear relationship between sporting events and investments has been taken by 3 out of every 4 business leaders in Latin America. While the reviews of business leaders in India, Russia & South Africa are not so different from rest of the world, the leaders in China differ from the same. Not even 40% of business leaders of China, which organised Beijing Olympics in 2008, agreed with the general perception that major sporting events are a good way to boost investments in Chinese economy. As Stephen Gifford, the Chief Economist at Grant Thornton UK says, emerging economies are given a shop window at global level, by holding major sporting events, which allows it to market and present itself to the massive global audience. He further adds that while international sporting competitions are a great opportunity, even after the ‘saturation’, for developed and established economies, it is still one element of a much bigger offensive to attract investment. However not many businesses in the European Union, North America, G-7 share the sentiment that hosting big sporting events can increase investments in their country. This difference, in view of Chief Economist at Grant Thornton UK, can be explained easily as it’s an unsaid fact that for any major event, the infrastructure in form of venues; transport & technology will already be in place in the developed economies. Thus, one may draw a conclusion that compared with the quantum of investment required in developing nations such as China and Brazil, the level of investment to build new infrastructure is much more limited in these economies. Sports are being used for different non-sports ends, such as economic and social development, branding of the nation and to assist in economic and political liberalization, by the nation states, in the context of neoliberal globalization. Unsurprisingly, economic, political & symbolical potential is related to the allure of mega sporting events. This importance is evident from the events hosted by the BRICS nations in the recent past, i.e. Beijing Olympics & CWG Delhi 2010, or the ones being hosted in the near future. From the table below, one may see that the costs of hosting the events have escalated over the years, and the projects are very large scale and expensive in nature. The CWG in Delhi (2010) were tagged as the most expensive Commonwealth Games ever, while the estimated cost of the 2014 Winter Olympic Games is three fold the cost of any previous Winter Olympics. When the talk is about sports mega-events, although each country's own set of economic, social and political relations is belied, both intra-nationally and with their regional neighbours and the developed world, the relations between them and other developing economies and economic regions are highly instructive. The aid from the Indian government & China to Guyana and Jamaica, along with Antigua, respectively, for the Cricket World Cup 2007, illustrates the same. China has also been influential in formation of the sports infrastructure in various African nations and is also developing a sturdy investment programme in Brazil. Talking about the challenges, one can invariably assert that the challenges faced by the BRICS nations are humongous & similar in nature. At the very basic level, the challenges can be categorised into the 4C’s viz. consumption, construction, containment and communication. 1. Consumption: The mega events have a radial outward approach, where sports is the epicentre, but growth can also be seen in other arenas as well- tourism, consumerism to name a few. This, however, leaves a potential risk of under-consumption, forcing to think if ‘Games’ were really that popular? 2. Construction: Caters to the creation & maintaining the ‘iconic’ designing, building, engineering facilities of the infrastructure, enabling one to ask oneself that if the facilities, of the given standard, will be ready on time and at desired cost. Another concern about the same is that of the ‘monumentalism’, focussing on the rich heritage and legacy of the hosting nation. 3. Containment: With increased threats to security, along with development of the technologies, thoughts related to the ‘Why; Where; Whom & How’ of security & surveillance is raised. 4. Communication: Improvements in technology have led to both reaching the mass audience, at the global level, and also managing the message that has to be conveyed. The reputation of any nation is at stake, courtesy the wide base of the electronic & print media. While the coverage of any sporting extravaganza takes the hosting nation outside, an inch closer to the developed world, it also evokes negative response if anything goes wrong. The Olympics in Mexico and the CWG in Delhi are a testimony to that. In the recent times, for sustainable social and economic development in developing economies the major sporting events have been seen as catalysts, due to their potential, and also a means of meeting international development goals. 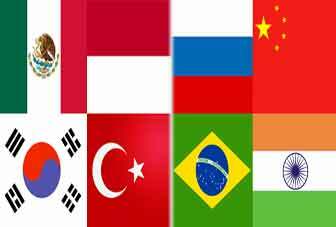 It has been suggested by eminent personalities that in the near future, a ‘BRICS-way to organise sport mega-events’ may come to dominate the Olympics. If such is the case, then the above identified issues, along with several others, will evidently require additional social scientific investigation and scrutiny.